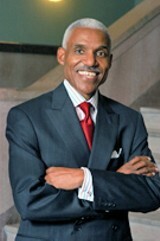 Not that it's any longer a big bad secret that Shelby County Mayor A C Wharton intends to run for mayor of Memphis. Not that it ever was. But selected folks around Memphis and Shelby County have now been informed by U.S. mail that Wharton will be the beneficiary of a $500-a-head fundraiser next week, Wednesday, November 19, at The Racquet Club, with proceeds explicitly designated to a race for city mayor. This follows upon recent news that the Shelby County mayor had met with confidants to inform them he would be running for mayor of Memphis and that he intended to appoint a campaign treasurer for that purpose. And that news had followed upon revelations earlier this year -- and first reported in The Flyer -- that Shelby County's two most prominent mayors, Wharton and the man whom he would succeed, Memphis mayor Willie Herenton, had actively collaborated on Herenton's since aborted bid to regain control of the city school system as superintendent. Increasingly, the two mayors have collaborated in what has sometims seemed a tag-team effort (or a bad copy-good cop duo) to facilitate a transition to some form of a actual city/county consolidation. Wharton's plans,therefore, have to be considered in the context of what Herenton intends to do. From almost the time of Herenton's reelection last year, rumors have swirled concerning his early departure from office. The Shelby County mayor's decision to launch his campaign for city mayor this early -- three full years before the next regularly scheduled municipal election -- suggests that an announcement could be coming from City Hall sometime soon, signaling a possible change of status for the city mayor. Even if this should turn out not to be the case, Wharton's early moves to secure campaign cash and supporters will serve to dissuade any and all potential competitors, whenever the race for Memphis mayor ends up taking place.